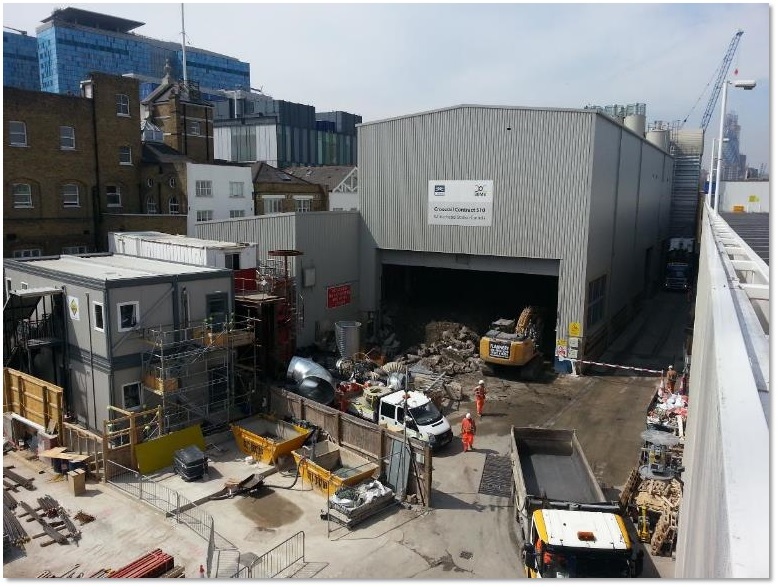 The project was a challenging, constrained refurbishment of an existing steel frame building with an existing, retained and reconfigured commercial gym at basement, ground and first floors, and the creation of 49 new luxury apartments. It required the implementation of an isolated box-in-box solution, and whilst that concept had been seen before, the pioneering design approach involved working within the constraints of the existing building to deliver the client’s expectations in terms of sound insulation and acoustic comfort. Early instruction allowed thorough investigation and identification of the potential acoustic risks associated with the gym’s proposals at the outset. Alterations to the future layout of the gym were not feasible nor would there be any workable restriction on the noise levels generated in the commercial space beyond that already in place. The team eventually agreed to remove the existing second/third floor slab and replace with a two-storey isolated box comprising a 150mm cast-in situ slab. The centralised atrium space, throwing up countless interfacing scenarios and a mixture of existing and new steel frame elements needed to be used to support the box whilst maintaining the isolation of the fabric elements to achieve the required separation. Close collaboration with architect and structural engineers, led to the development of a hanging corbel detail with isolated fixings to maintain the independence of the box. The judges liked the use of auralisation to establish the extent of the mitigation and identify areas of the building requiring attention. They were impressed by the decision to remove and rebuild the slab and noted that the Architect said: Clarke Saunders’s support has been fundamental to the realisation of a number of extremely challenging architectural ideas – in particular in relation to the ‘box-in-box’ concept which was the key feature of this project. Conversion of this former office building to affordable private residential with minimum internal areas for living standards was only financially viable if the thickness of the Part E compliant party wall construction was kept to no more than 135mm. The consultants believe this to be an unprecedented technical brief for a residential development. They convinced the client that risks could be mitigated by use of pioneering engineering design tools and a collaborative approach. The project features a bespoke drywall system, and through innovative design, reliable prediction software and collaboration a partition system as thin as the length of an iPhone5 was developed to meet the performance standards. As the partition construction had never been tested before, the consultants had to estimate performance and mitigate the risks associated with flanking and quality of workmanship. As well as the technical challenge applying innovative thinking to sound insulation design, the consultants also had to convince the commercially driven client of the pioneering design and of the need for a collaborative approach to construction. The judges were impressed that in a field where a standard method is the obvious solution, the consultants had worked with the construction side demonstrating innovation and tackling complexity. This was a very neat solution which achieved the result and must have involved flawless onsite monitoring and inspection.